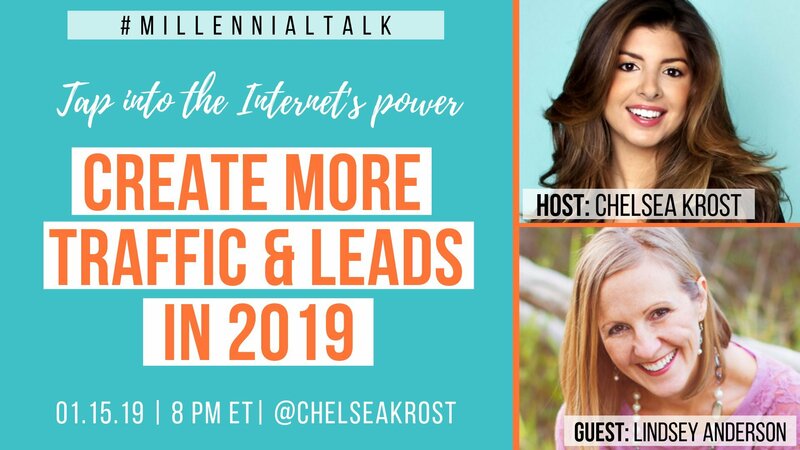 Happy 2019 #MillennialTalk friends! When the New Year roles around you can’t help but think about the fresh start and setting new goals for the year. As evolving entrepreneurs the time is now to empower yourself with the knowledge and resources to help you grow personally and professionally this year. That’s why we brought in online marketing strategist, Lindsey Anderson – AKA One Click Lindsey – to be our guest on this weeks Twitter Chat. Lindsey is a master at creating more traffic & leads and teaches entrepreneurs how to break through the cluttered online landscape. The internet is an insanely powerful tool and having the right traffic strategies in place can only help to bring in more quality traffic and leads to your business! 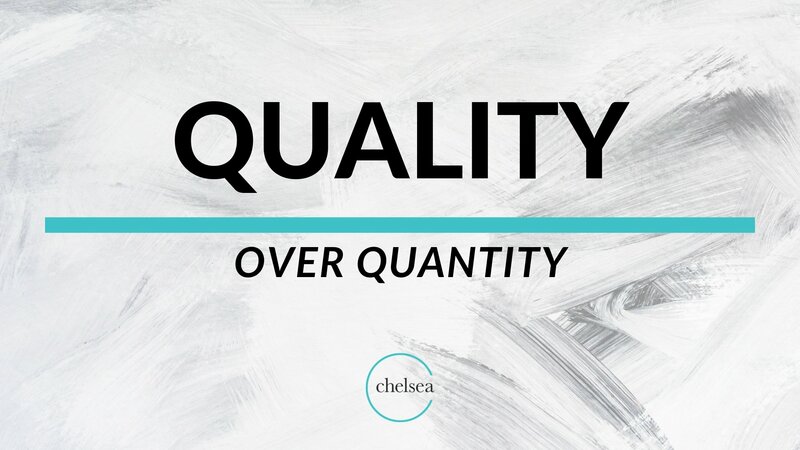 @ChelseaKrost: There is a big difference between traffic vs. QUALITY traffic. Very often businesses get tons of traffic, but it’s the wrong kind of traffic! @oneclicklindsey: If you have $$ for ad spend quality traffic is easy so a 1. @ChelseaKrost: Consistent quality content! Publish articles on sites that will increase your authority & awareness, create videos on topics in your space & create content that adds value to your audience. Always add a call to action link that brings them to your website. @oneclicklindsey: Organic traffic all comes down to content…💥 content 💥 to feed Google’s SEO bot’s, content on social media… all things content. @NotOkThatsOk: Posting consistent and quality content. I love asking people what they want to learn about so I make sure I’m creating what people actually want to read. @oneclicklindsey: Pros – you can drive quality traffic to your offer FAST. You can test offers and audiences and get immediate feedback. Cons – It’s expensive and won’t return an ROI unless you have the skillz or hire someone with skillz. @RyBen3: Pros: Lookalike audiences make it easier to find new eyes similar to your current customers. Reach customers faster than traditional advertising (TV/Radio), attribution. Cons: Costs money, cuts into profit, requires time for machine learning, attribution. @oneclicklindsey: When people come to your website they will NOT be ready to buy from you. You must have a VALUABLE lead magnet to get them to give you their email address. 1. Not every person with $10 is your ideal customer. 2. Date them before you propose. Show your worth to customers before you expect a commitment of coin. @ChelseaKrost: Everyone loves a freebie right? 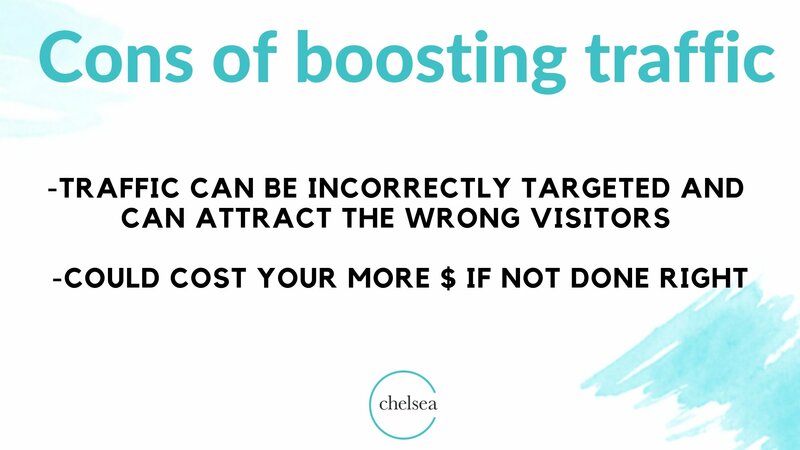 Create a give-away that entices visitors to opt-in to your site. You can also include this freebie in pop-ups, article links and as a call-to- action. Freebie example: free guide, ebook, webinar etc. @oneclicklindsey: When it comes to turning traffic into leads you must provide a solution that tells these peeps you can FIX their PROBLEM. No need to struggle… you are superman and have the solution. 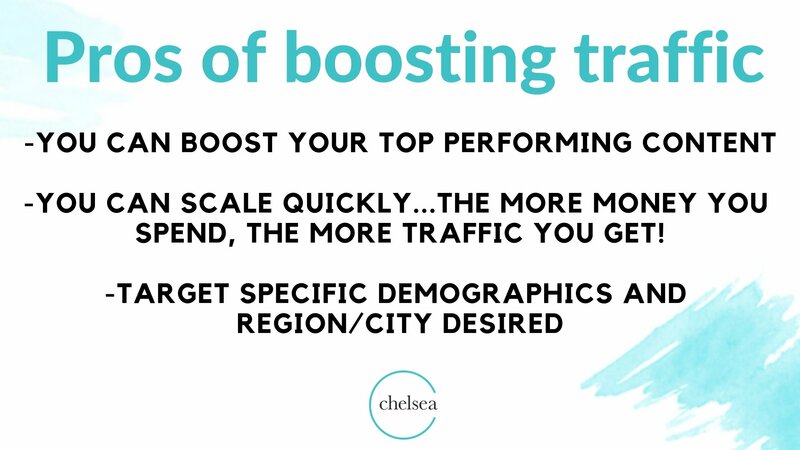 @ChelseaKrost: Once I’ve directed traffic to my site & have people engaging w/ my content, I offer a free discovery call. I believe in the power of personal communication,building relationships,& speaking directly to the person = allows me to convert them into a customer. @oneclicklindsey: #EmailMarketing, text message & messenger marketing, running retargeting ads to folks who have visited your site in the last 30 days. @MegOKerns: Get them to know you, like you, trust you and provide them with the proof that you can move them to the next point in the path to their success/goals. @ChelseaKrost: Create a quality call-to-action button. Make sure the text you use is relevant to the benefit that your consumer will receive. Think about your KEY WORDS. @oneclicklindsey: It’s all about the PAIN. If you can use conversational copy writing to speak your clients language and make them feel like you understand their pain… they will click. @GenePetrovLMC: It’s not really about manipulating people into taking these actions. It’s about the depth of the relationship developed. Where people are genuinely excited to click on it, join a list or engage. But we have to do the hard work first – provide value generously. 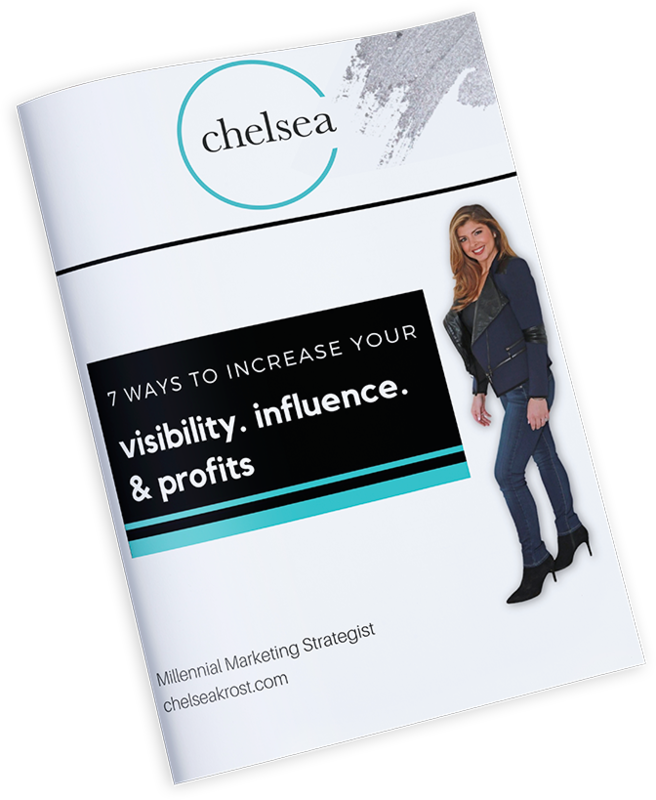 @ChelseaKrost: Quizzes allow you to get a deeper look into your audience by seeing how people answer your questions. This can help guide you when creating a content strategy! Crowdsourcing is KEY. @oneclicklindsey: The best kind of quiz is to have them walk through all the questions and before you give them the answer you request their email so you can send it to them! @charumisra: It’s an engaging way to collect insights & data and use that to improve your product or service! @oneclicklindsey: I LOVE the challenge method. Getting peeps gathered in a FB group, giving them insane value over 3 – 5 days and offering them a package at the end that they can’t resist. @MrMattLady: Facebook Lead Form Ads + Zapier + MailChimp/other. This automation is so powerful. You can filter and create custom follow up content based on how people respond in the ad (ex which industry are you interested in learning more about) can have 6 custom drip sequences based on their industry and nurture them with more information and value and they can respond to talk to a human, take action at any point, or receive a strong CTA at the end of the sequence. @oneclicklindsey: Smart speaker marketing… you know the Alexa and Google Home Devices? @ArtistCarlosE: New Technology (like new smartphones), Social Media (With Texting), and New Jobs (That what I predicted; same goes with lots of people).